Bizarro is hiding something, big. The others cant find out and he will go to great lengths to ensure that they don’t. Ever since Bizarro got his brains he has been hiding something from the others, is he dying? Is he regressing? Whatever it is even pup pup is trying to convince him to spill the beans. 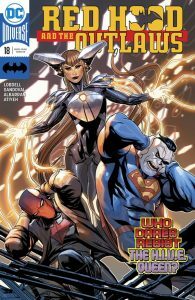 The Hive Queen almost tells Red Hood but Bizarro steps in before she can and before Bizarro can come clean Artemis discovers a surprise guest that sidetracks the issue once more. 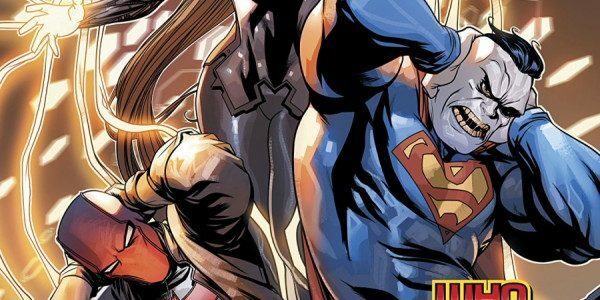 It has to be something big for Bizarro to be this hesitant over it, he is like a super genius now and obviously can’t find a solution to stop it, but by the time he confesses all will it be too late to save the team? Both Artemis and Jason know somethings up but neither want to approach the subject of Bizarros death obviously so it’s being left alone but is it death that is worrying Bizarro or is he worried about possibly becoming a bad guy or going so crazy that he cant be controlled? There are so many things that could go wrong with Bizarros fragile makeup and anyone of them would be catastrophic for the world.